(CNN) -- For some it was an exhilarating holiday to an exotic place, finding new love or conquering their greatest fear. For others, it was witnessing an historic event. And for a few, it was simply a case of being in the right place at the right time to capture a moment that will forever stick in the mind. CNN asked people from all over the world to send in their highlight of the year. From the Philippines, to Scotland, to South Africa, hundreds of people shared their most treasured images. 2012 was the year the Olympics games came to London, and, unsurprisingly, many people sent in their images of the various competitions held around the capital. 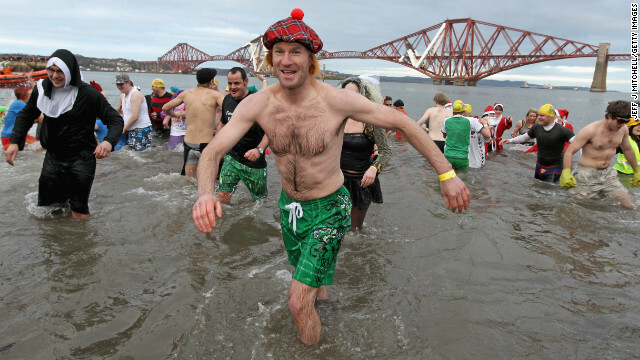 Every year around a 1000 New Year revellers brave freezing conditions in the River Forth in front of the Forth Rail Bridge during the annual Loony Dook Swim. Similar sub-zero New Year soaks are found across the chillier corners of the northern hemisphere from Sweden to Siberia. 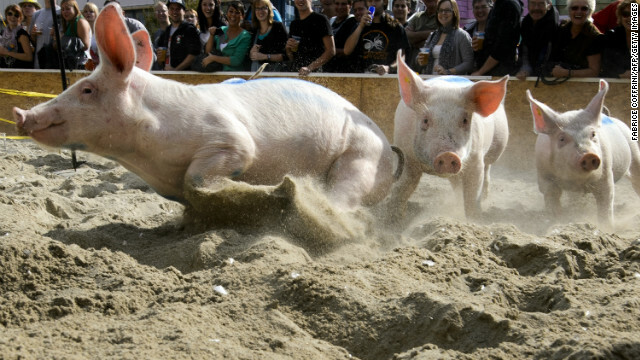 In the Swiss ski resort of Klosters, the first day of January is celebrated with a piglet race in which 10 tiny porkers sprint through the snow for the enviable prize of being spared from the sausage factory. 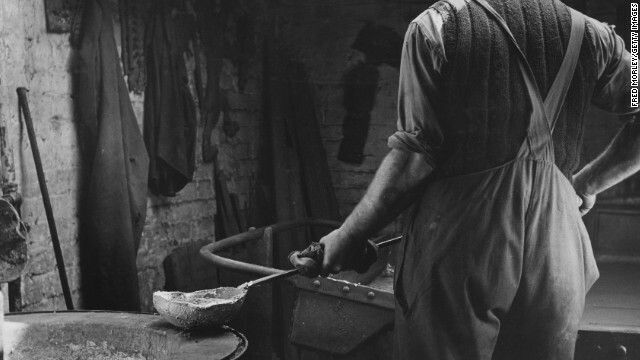 Perhaps in tribute to their nation's industrial might, some Germans celebrate New Year with a drop of molten lead. A spoonful is melted over a candle and dropped into a bucket of water. Shapes formed by the droplets are used to divine signs of fortune to come. Revelers take part in the 30-year-old 'San Silvestre' New Year's race in brightly colored underwear at La Font de la Figuera, Valencia, Spain. In Italy, Spain and South and Central America, color-coded underpants take on special meaning at New Year with red or yellow auguring luck or romance. 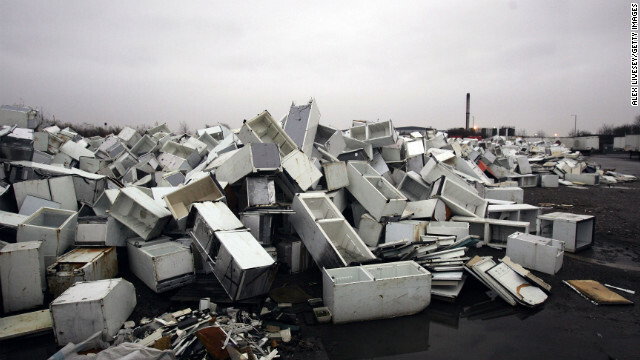 In South Africa, police have had to issue regular warnings following the development of a somewhat hazardous tradition of throwing fridges out of household windows during the New Year's holiday. A similar practice of chucking unwanted goods out windows, including old TV sets, was common in Italy but is now, gratefully, extinct. Not everyone is prone to raucous outbursts of New Year cheer. 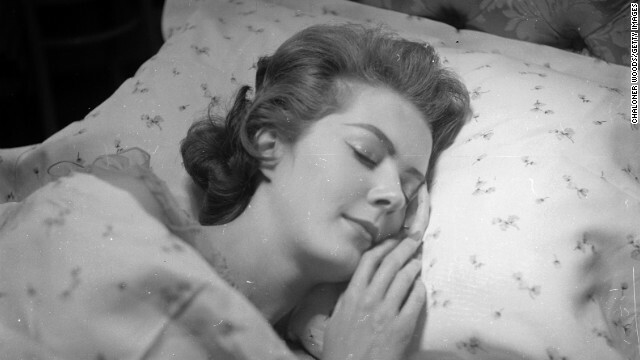 In a surprising survey last year, it was revealed that over a third of Britons prefer to be tucked up in bed on the stroke of midnight. Gaya Ilang, who works as the artist Gaya3in1, was lucky enough to participate in the Games' spectacular opening ceremony -- playing a nurse. She sent in an image of proud participants posing eagerly just before they took part in the ceremony. Firework's light up Hong Kong's Victoria Harbour. 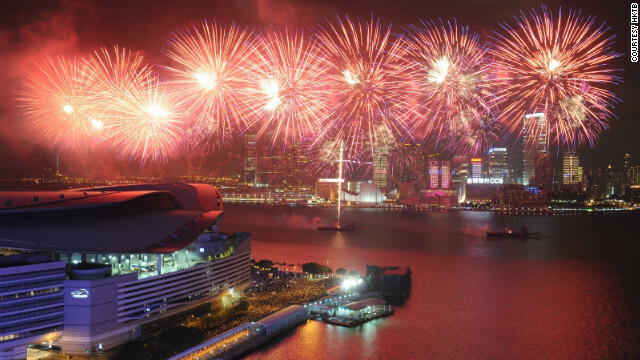 This year will see the city's midnight fireworks display journey across town for the first time, beginning out at the sea and moving along Victoria Harbour to the Hong Kong Convention and Exhibition Centre in Wan Chai. 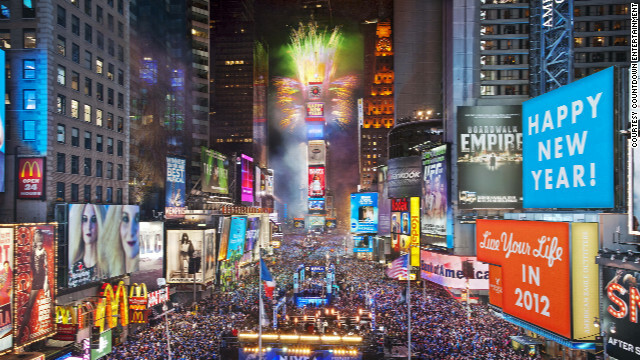 More than one million people will head to Times Square for New York's legendary fun-filled celebrations on December 31. This year's live entertainment will come from the likes of Taylor Swift, Psy and the Neon Trees. 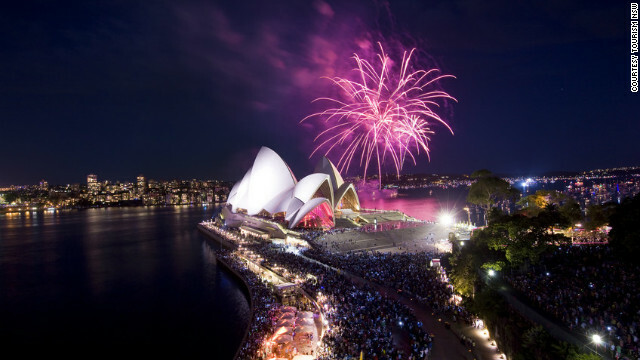 Sydney Harbour is world-renowned for its spectacular New Year's firework show, but event organizers say this year's event will be even better thanks to the top-secret pyrotechnic effects they have in store. 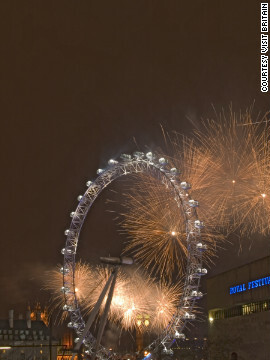 London intends to see out a 2012 -- a year in which the city hosted the Olympics and the Queen's Diamond Jubilee -- in style. There will be a spectacular fireworks display along the banks of the river Thames. 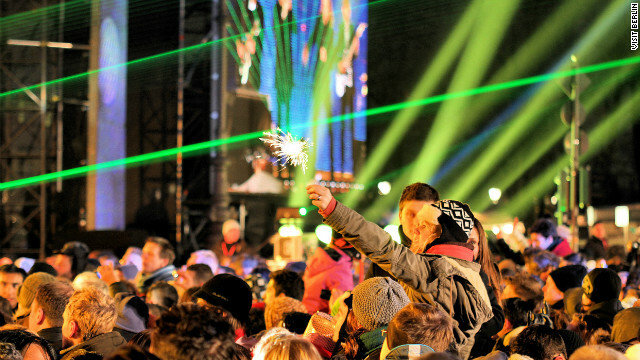 Berlin is renowned for hosting one of the world's largest open-air New Year celebrations. DJ's entertain music fans along the "Party Mile": a two kilometer strip of dancefloors, stages and bars behind the Brandenburg Gate. Edinburgh's annual New Year's Eve (Hogmanay) festivities are cast aglow with a torchlight procession involving more than 25,000 locals. 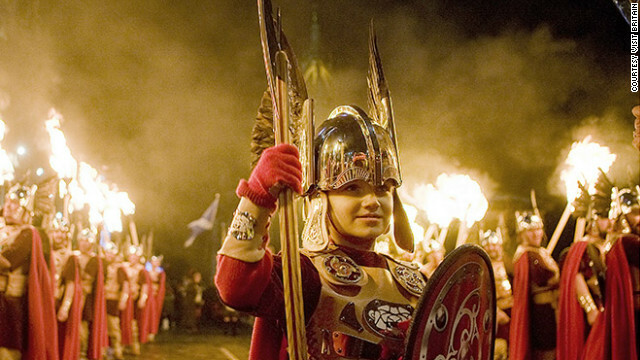 The parade is led by Shetland's Up Helly Aa vikings (pictured). 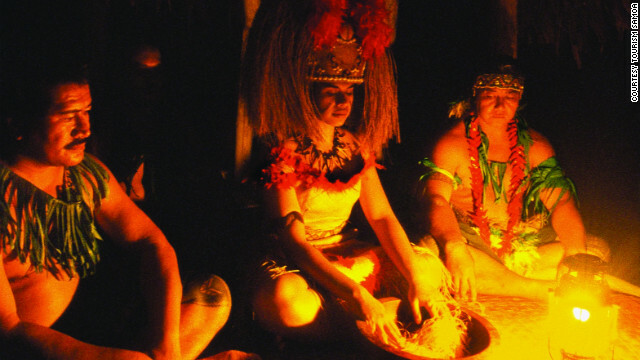 Samoans welcome the new year with songs, prayer services and village banquents, all of which begin and end with a traditional kava ceremony. 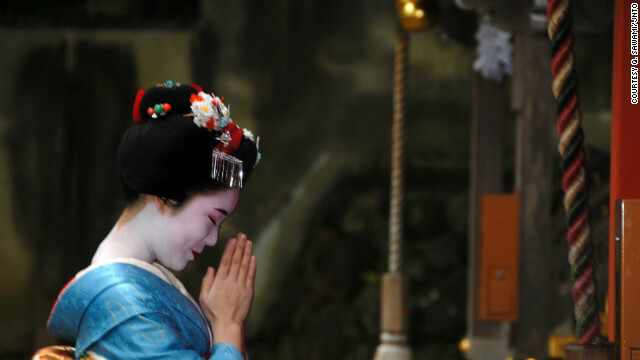 A maiko (apprentice geisha) rings a bell at a temple in Kyoto. As the clock ticks toward 2013, temples across the city will ring large bronze bells 108 times, a Buddhist tradition said to rid humans of earthly desires. 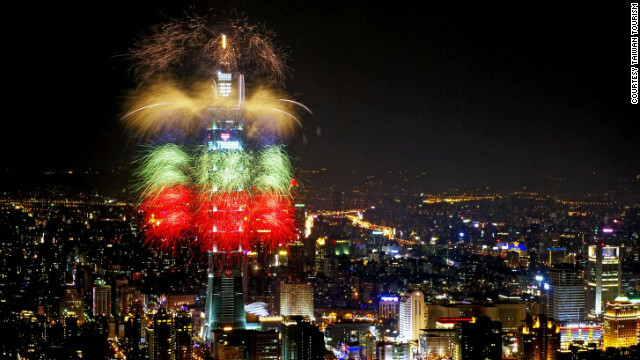 The Taiwanese capital thinks big when it comes to New Year's Eve, transforming the 509-meter-high Taipei 101 tower into a frenzy of colorful fireworks. 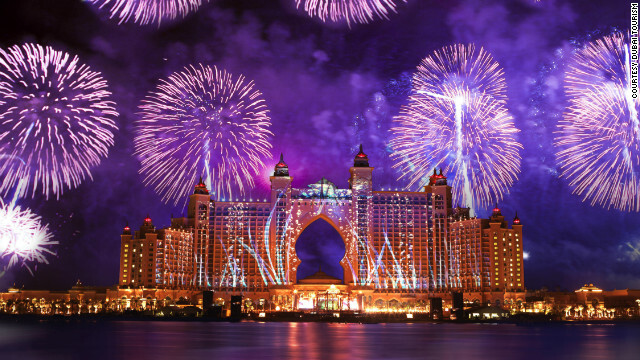 The Palm resort in Dubai will play host to the popular Sandance festival. This year's headline acts, Ellie Goulding, Rita Ora, Roger Sanchez and Paul Van Dyk, will entertain revelers into the early hours of 2013. "I like this [image] as it has performers from different categories -- a snapshot of the ceremony -- and reminds me of the excitement of the day, clearly visible on everyone's faces," she said. Sport of a non-Olympic kind captured the imagination of Jamie McCaffrey from Ottawa, Canada. He submitted this lively image of soldiers from the Lake Superior Scottish Regiment of the Canadian Army Reserves competing in the tug of war at the annual Glengarry Highland Games in Maxville Ontario. "The sight of these soldiers in a brutal test of raw strength while combined with the skirl of the pipes, the colors and flash of the different tartans on the kilts, and the cheer of the crowd was a feast for the eyes and ears," he said. "Although, I understand that the music of the bagpipes may not be for everyone -- subtle it is not," he added. From the bombast of organized games to the quiet joy of a proud parent, many people chose their children as the source of their best moments of 2012. Charlotte Brocker from Berlin, Germany, captured a wonderful image of her son Malik wearing his Ramones t-shirt on a bike ride in August. Malik was born with clubbed feet and a physical condition called Arthrogryposis Multiplex Congenitas, which means he has little muscle strength in his limbs. His mother took the photo in August after casts set on Malik's legs to strengthen them had been taken off. "My cheerful and determined young man helped me to realize what matters in life and what doesn't," she said. "Malik is a very happy, easy going young man, not much can hold him back, not even being stuck in casts. I also love how he's rocking that t-shirt!" For some, 2012 was the year not just of striking out on to new journeys, but of returning home. Jessica Munoz from California, U.S., was thrilled to be reunited with her soldier husband on his return from Afghanistan. The poignant moment when she was reunited with her husband was captured by her friend, Libby Lugo. "My friend literally grabbed the camera out of my hands and pushed me in the right direction [to her husband]," she said. "All the stress and fear and pain suddenly were replaced with love and magic and joy. I felt like I had gotten something precious back that was taken from me." And sometimes it was images even closer to home that made for the best moments of the year. Even right outside the window. Abdel Hamid Zein took these beautiful, surreal images from the window of his 50th floor apartment in Dubai. "It is foggy in Dubai on rare occasions and usually lasts for two to three hours in the morning," he said. "It was quite impressive, because it's not everyday you wake up and you find yourself above the clouds." And of course what year would be complete without at least one ambition being realised? For Julie Fox, a trip to Elvas, Portugal to ride a balloon at the International Hot Air Balloon Festival provided the chance to tick one dream off her life list -- particularly when she found out the rides were free. "I'd always had a romantic image of hot air ballooning over the Serengeti or somewhere like that but have never been able to afford it," she said. "The whole experience: Inflation, take off, the quiet contemplation of the countryside and the aerial views, wondering where we would land and the fun of packing up the balloon before driving back to the launch site is something that will stay with me forever." No matter the time of year, or place, a bounty of vegetables is often all it takes to get people singing, dancing, cow racing -- even parading around giant phalluses. Fireworks boom, bulbs flash, and flames flicker as tens of millions of people across the globe celebrate the beginning of the Festival of Lights. Disfigured freaks and bloody babies? Still think Halloween is just for the kids? You won't -- not when you've seen CNN's gut-twisting, down-right disgusting mob of morbid maniacs. Our list of doomed sites include a haunted school, political prisons and an abandoned hospital. No...we wouldn't go in there either! Catch the best Halloween costumes from tinseltown featuring Heidi Klum, Jimmy Kimmel, Ellen DeGeneres, Miley Cyrus and all their A-list friends. There are still many places in the world that treat magic as serious business. Check out our guide to the world's witchiest hotspots. The best photos of the eighth and annual gathering of geeks in the city that never sleeps. The sold out event allowed fans to mingle with stars. When animals come together en masse, very often so do humans. Here's our guide to the animal migrations that bring people out in flocks. Surviving the all-day drinking sessions of highly potent wheat beer at the (in)famous Oktoberfest in Munich is marathon, not a sprint. For one weekend in September more than 155 million people in six neighboring countries across Central America pull out all the stops to honor the birth of their nations. Some hobbies take genuine talent, others just don't, but the real skill is turning your weird past-time into an international event. For Muslims, Eid al-Fitr is one of the most festive periods in the religion's calendar. We asked you to send us your best Eid photos, here are your best shots. Award-winning British chef Aktar Islam shares his best Eid food memories. Find out what culinary delights are on his table. Humans have a strange relationship with food. This seems to be a global truth that is perhaps best evidenced by the array of unusual food festivals the world over. There is something innately messy about summer. That must be why some of the world's filthiest festivals bide their time until the warmer months. From Bastille Day and 4th July to Chinese New Year and Disney Land, your shots of the world's greatest fireworks. We asked you to send us your best solstice photos. From skinny dipping, fire jumping and dancing like a rocket -- here are your best shots. Linked to fertility -- both of the vegetal and human variety -- the solstice has spawned celebrations meant to fan the flames of love and lust. Quiz: Arch Druid or midsummer moron? Why did the midsummer maypole cause offense and who celebrates midsummer by running naked through the streets? For some it was an exhilarating holiday to an exotic place, finding new love or conquering their greatest fear. For others, it was witnessing an historic event. The champagne is on ice, the fireworks are exploding overhead -- but isn't your New Year's Eve party a bit, well, last year? For many people, New Year's Eve can be disappointing -- there's so much hype in the lead-up to the event, it often falls short of the mark. If your Christmas is too often one of tacky decorations, over-cooked turkey and bitter family feuds, now may be the time to plan yourself a Yuletide getaway. Christmas is synonymous with decorations, markets and extravagant quantities of food. But traditions differ greatly depending on where you are in the world. For something intended to bring pleasure to loved ones, Christmas shopping in the Internet age can be a peculiarly joyless and atomized activity. For some, Hanukkah is "the potato pancake holiday" -- a holiday that takes the mundane potato and gives it a massive makeover. 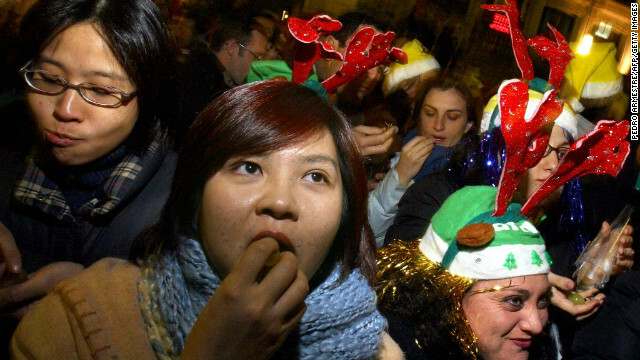 How much do you know about Christmas traditions around the world? Find out with our quiz. The port-city of Kochi, on India's west coast, isn't known for its arts scene but that will change as it's first arts bienale.